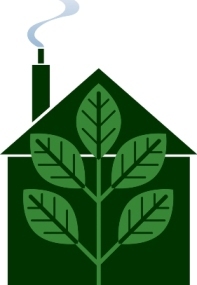 There are lots of ways of going green at home to make your living space more eco friendly. In this section you will find a variety of ways to green your home, conserve energy, and at the same time, save money on utility bills. Some of the suggestions are big things, such as making the switch to more energy efficient appliances, while some of the tips are easier to implement. Remember to start where you are at and to do what you can. Every little bit counts! 1.Use compact fluorescent light bulbs instead of incandescent bulbs. These reduce both electric bills and greenhouse gas emissions. Although the initial cost may be higher, one bulb can save $30.00 in electrical costs over its lifespan. Replace four at a time and you will be saving over $100.00. 2. Going green at home with weather-proofing. Utilize storm doors and windows, with eco-friendly materials, if possible. *In the winter, close your vents and doors and insulate drafts. *Turn down the heat. Even one to three degrees can make a difference, as each degree can save money. Consider using an Energy Star programmable thermostat, which can also cut down on heating costs, as well as using less energy. 3. Use *Energy Star* appliances, certified by the EPA, the US Environmental Protection Agency, when replacing older models of washing machines, dryers, refrigerators, dishwashers, water heaters, etc. *Use cold water for the rinse cycle when doing laundry; this saves energy. *Hang clothes to dry outside on a clothesline or a drying rack. This saves electricity and prevents carbon dioxide from entering the atmosphere. *If possible, get a more energy efficient washing machine. Energy Star products are 125% more efficient and use half the amount of water as standard models, which use up to 40 gallons of water per load of laundry. *When drying clothes, use fast spin cycles and air dry features, which dry clothes using cold air and cuts down on energy usage. 5. Going green at home means turning off the air conditioner in the summer. Use a fan instead. Or just open the windows and let in the fresh air when it isn’t stiflingly hot. Remember, summer is SUPPOSED to be warm, so enjoy it while it lasts!! *Turn off the lights whenever you are not in a room. *Unplug appliances that are not currently in use, like computers and fax machines and other electronic equipment. Remember to do this particularly whenever you will be traveling and out of town. Appliances can waste energy when they are plugged in and not being utilized. *For more ideas on how to cut your electricity bill, visit Saving electricity at green-energy-efficient-homes.com. *Turn off the tap water while brushing your teeth, shaving, and in the shower while soaping up to save water. *Install energy-efficient shower-heads and/or take shorter showers whenever possible. Some models have timers. Low-flow models save on water heating costs as well as conserving water. *Install a low-flow flushing toilet that is water efficient. *Don’t run the water a long time to get it cold enough to drink; instead, put some water in a pitcher and keep it in the fridge for a cool drink or use ice-cubes!! 9. Make sure your furnace and air conditioner filters are clean. Dirty filters produce more carbon dioxide. 10. Check into utilizing green friendly utility companies. For more information, go to www.eere.energy.gov/greenpower.